Tooth loss can affect your oral health and overall wellbeing, as well as pose problems on your speech and eating habits. This may give you an unsightly appearance and dampen your self-confidence. To maintain your health and self-esteem, the Arlington Dental Team offers dental implants as part of your dental care management. A dental implant is an artificial tooth root that serves as a permanent base for replacement teeth. Our implant dentists in Arlington, VA, discuss aspects of dental implants that set them apart from other teeth replacement options. When you have missing teeth, you are more prone to bone loss. This causes your face to sag, causing you to look older than your real age. Dental implants can provide support for your facial contour to prevent this from happening. In addition, they are usually made of ceramic and titanium materials to look like normal teeth. This provides an instant boost to flash your natural-looking smile and keep up your confidence. Since they are surgically placed to your jawbone, they eliminate the need for frequent replacements and the risk of falling out of your mouth. The stability and the security of the treatment will allow you to eat, smile, and talk as if you never had a missing tooth. According to our reliable family dentists in Alexandria, VA, they can last a lifetime with proper care. The space left by missing teeth can destabilize surrounding teeth. Adjacent teeth may shift into the empty space, causing changes in your dental arch. This can affect your bite and speech abilities. The gaps between teeth can also serve as food and bacteria traps. Chewing stimulates your tooth root and jawbone regeneration. Missing teeth can cause your jawbone and gum tissue to deteriorate and shrink over time. By having dental implants, you can prevent these from happening. 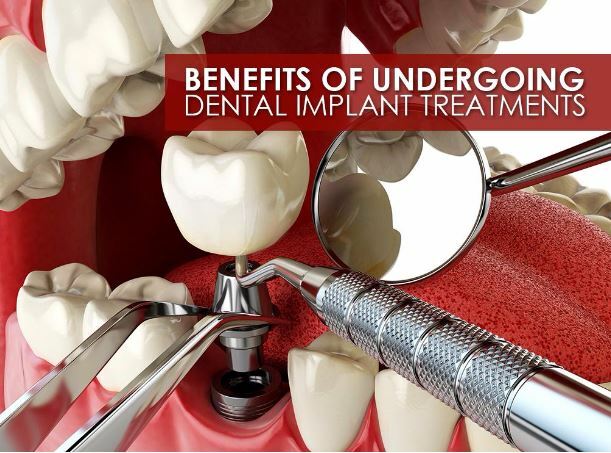 Dental implants are a stable, long-lasting replacement option for missing teeth. To schedule a dentist’s check up in Fall Church, VA, or a dental implants fitting, you can call us at (703) 563-4419. We are ready to assist you.